Out in the garden shed, it's that project that every guy quietly tinkers away on. A couple of hours each evening, and in the weekend, and then some time later that guy emerges from the shed with his refurbished classic car or superbly crafted carpentry project. This project is just like that except the tinker is an album and the shed is a studio and the guy is Oakley Grenell emerging with his 11th album 'The Deep'. For twelve years, Grenell’s been steadily releasing projects under his own Central Records and heading up bands that include The Otautahi Allstars, Departure Lounge, The Eskimo Squad and his former production moniker OG. Now simply known as Oakley Grenell, his latest production effort sees him solidify his production style with his most confident and personal album to date. 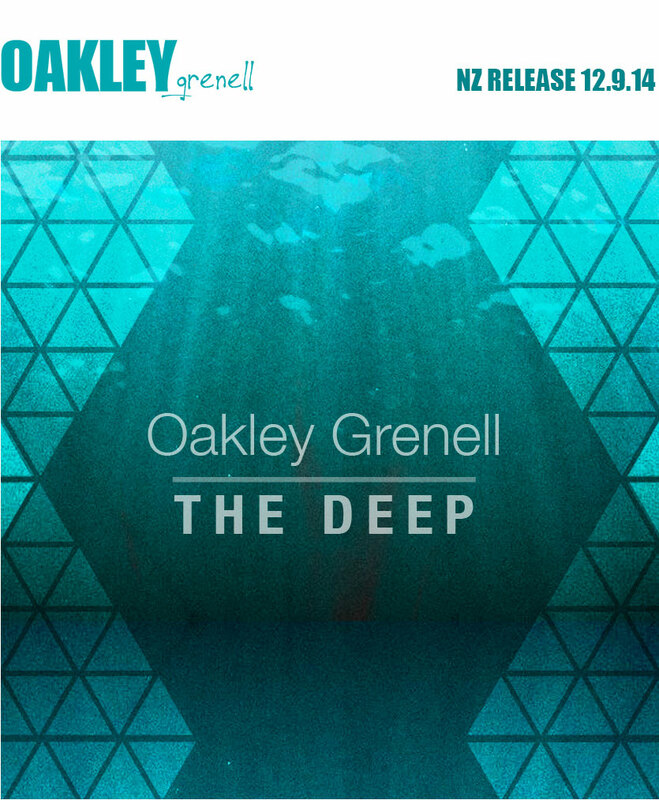 Stripped back, slow burning Pacific soul with flourishes of hip hop, The Deep combines Oakley's production with live instrumentation. He takes up guitar duties alongside some of his favourite Christchurch instrumentalists including brother Redford Grenell on drums - recorded at the family farm in Whitecliffs - and guest keys from NZ's own maestro expat Mark de Clive-Lowe. Featured guests on this album read something like a producers Christmas wishlist; with a strong line-up of local and international talents, including vocalists Mark Vanilau, Iva Lamkum, Lisa Tomlins, MCs KPz & Stauny (Sunshine Soundsystem), JDouble aka JDubs, Raiza Biza, Charmed 1, Cazeaux O.S.L.O, John Robinson & Ohmega Watts (U.S.A). The Deep album was mixed by The Nomad and mastered in LA by Dave Cooley (J Dilla / Stones Throw). Despite the many talented guests, The Deep remains Oakley's most intimate album to date focusing on positive themes such as new love. Oakley contributed to most of the writing and even lends his vocals for the first time to his song Thinkin. "This album took a long time to produce but I'm really proud of it,” says Grenell. "It is definitely my most personal album and is also the first album where I have contributed this many lyrics and recorded my own vocals- which is something I hope to continue with. Having such an amazing cast of talented collaborators on The Deep is such a blessing and getting Dave Cooley to master it is the icing on the cake as I am a huge Dilla fan".